Freshly caught fish. Photo by Jean Michel Abo'o Medjo. Gender inequalities pose unprecedented challenges to the governance of ecosystems and the responses to the impacts of climate change and variability. At the same time, the effects of climate change are felt differently by men and women. In Malawi, these disparities exist because of the economic and social position of women in the household and community. Women typically have limited incomes, unequal participation in decision-making processes and face the double burden of domestic and productive workloads. Rural women are also often responsible for fetching water and fuel wood. Consequently, climate change affects the factors most essential to women’s subsistence: food, water and energy supply. Thus, women need different strategies from men to enable them to adapt to climate change. This is the finding of research carried out as part of the Lake Chilwa Basin Climate Change Adaptation Program (LCBCCAP). Running from 2010 and 2017, the program was implemented by WorldFish along with the Leadership on Environment and Development and the Forestry Research Institute of Malawi. It aimed to protect the livelihoods of the population in the basin and enhance resilience of the natural resource base upon which it depends. Small-scale fisheries, Lake Chilwa Basin, Malawi. Photo by Randall Brummett. The LCBCCAP emphasized empowering both women and men to make their livelihood choices environmentally, economically and socially sustainable. This gender-transformative approach (GTA) firstly aimed to change norms, attitudes, beliefs and practices related to gender roles. Secondly, GTA aimed to strengthen the role of women in decision-making in various contexts, ranging from households to local government, community organizations, and producer, processor and entrepreneur associations. To achieve the desired transformation, the LCBCCAP formed and strengthened 100 GTA platforms in the Lake Chilwa Basin. The platforms were organized to provide space for local discussions and sharing best practices of gender transformation. From the 100 GTA platforms, the program trained 70 (38 women and 32 men) GTA champions, who in turn facilitated 30 community GTA seminars. The seminars helped men and women to realize and act on traditional norms and beliefs that only favor men. These platforms continue to meet weekly. Through them, traditional roles and activities are evolving faster under recurrent drought and floods in the basin. 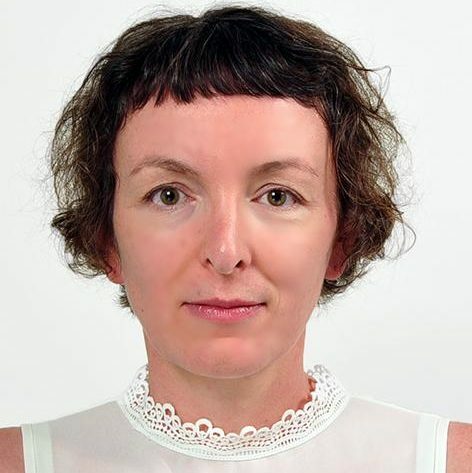 Women are increasingly undertaking ‘male’ (predominantly production-related) activities, although they have yet to automatically acquire the same rights as men. Mrs Bitinesi drying her fish in a solar tent dryer, Malawi. Photo by Asafu Chijere. In addition, the LCBCCAP promoted economic empowerment activities primarily targeting women (without excluding men) to reduce economic inequality. Some 100 women were involved in processing and marketing fish products. 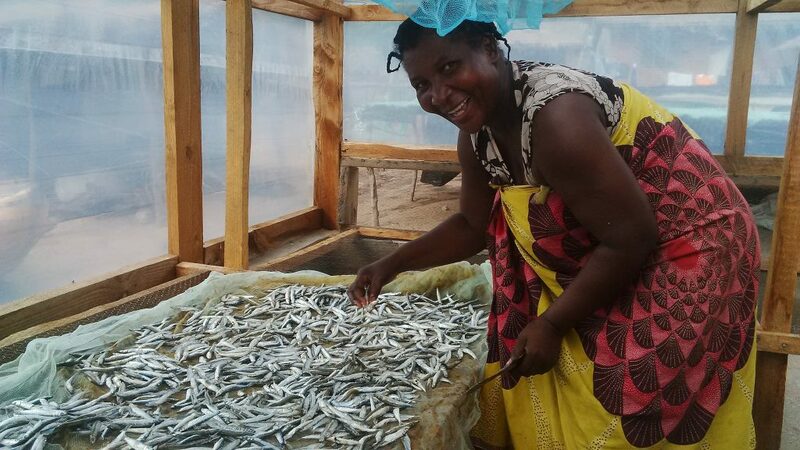 A total of 12 solar fish dryers and four energy-efficient fish smoking kilns were constructed to increase the value of fish products and reduce postharvest losses. The women processed and packaged the fish in 100 gram and 200 gram packets that were supplied to supermarkets. Through fish value addition, the market price of fish increased from USD 3.72 to USD 10 per kilo. 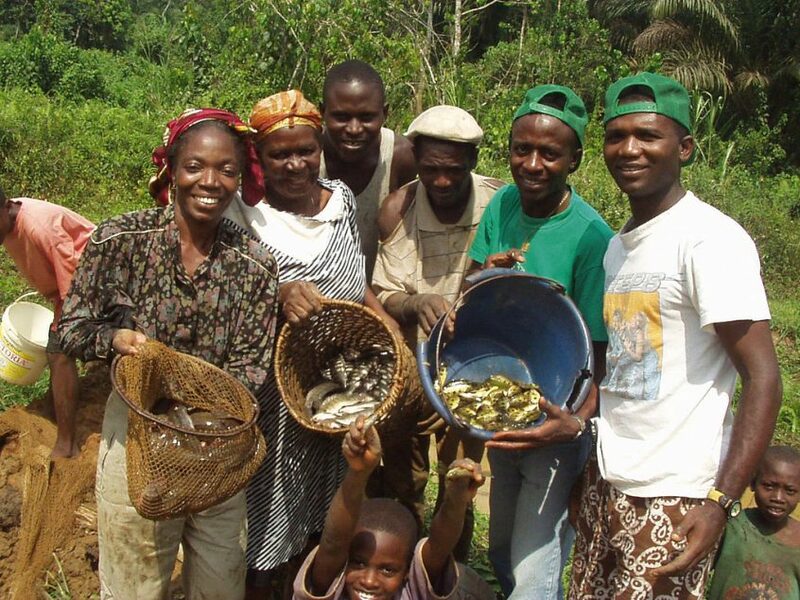 With the increased incomes from fish sales, the processing groups were linked to mobile banking services, encouraging a saving culture among them. 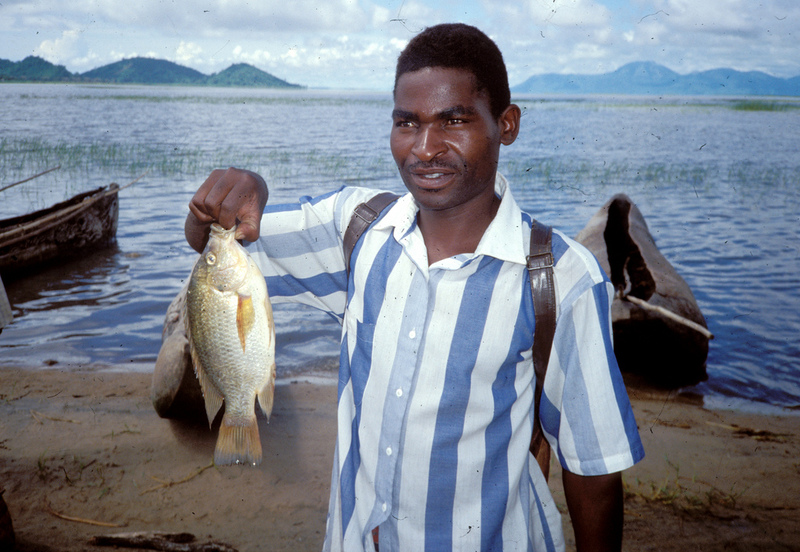 The LCBCCAP case is included in the book Socio-Ecological Resilience to Climate Change in a Fragile Ecosystem – The Case of the Lake Chilwa Basin, Malawi. Co-edited by Nagoli, the book provides a review of the research and interventions carried out as part of the program. The work was based on the ecosystem approach (EA), a strategy for the integrated management of land, water and living resources that promotes conservation and sustainable use in an equitable way. The program is one of the first to apply EA on such a wide temporal and spatial scale and provides key lessons for the protection of other fragile ecosystems threatened by climate change. It is also the first such comprehensive research dedicated to the Lake Chilwa Basin since 1979. The book was launched during the WorldFish-sponsored 6th Pan-African Fish and Fisheries Association International Conference, held on 24–28 September 2018 in Mangochi, Malawi.